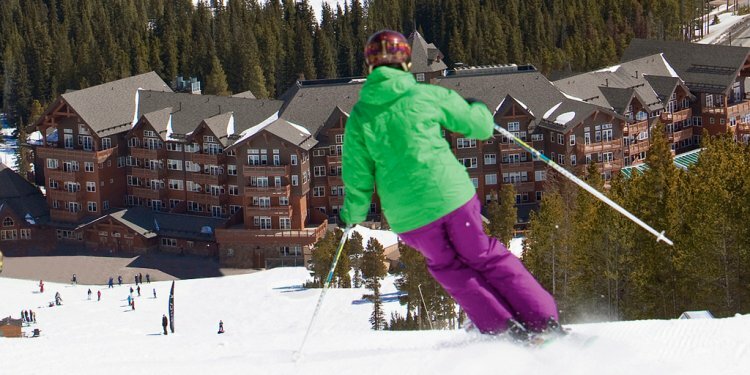 During the winter, this ski-in/ski-out Colorado resort is a skier's dream with an unparalleled location. Ideally situated at the base of Breckenridge Ski Resort's Peak 8, these luxury ski-in and ski-out condominiums are just steps from the BreckConnect Gondola, which easily transports you to Peak 7 and into the charming town of Breckenridge.Â You can walk out the door and access 4 chair lifts, a lively plaza and a whole mountain of fun.Â This elegant slope side ski lodge and resort features legendary RockResort service with a staggering list of luxurious amenities and accommodations. During the summer months, this luxurious alpine paradise is located just steps from the Breckenridge Fun Park. You and your family will enjoy plenty of Rocky Mountain thrills on the Gold Runner Alpine Coaster, the Alpine Slide, climbing wall, Super Putt golf course, and more!Â To book your Colorado ski vacation, or to learn more about One Ski Hill Place in Breckenridge, Colorado, contact reservations today!